Am I being dramatic when I say that being too nice is ruining your life? Maybe. But maybe not. 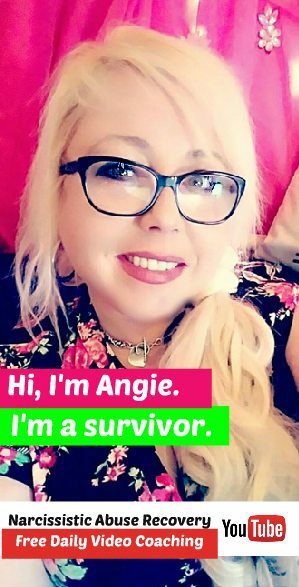 See, each one of us has been affected to varying degrees by the toxic relationships and narcissistic abuse we’ve experienced. So, while some of us tend to fall into that overly sweet, “too nice” category of codependents, others fall into the straight up dissociated category – but most of us fall somewhere in-between, if we’re being honest. So, what does this have to do with getting over a narcissist? Or moving on past the abuse you’ve suffered? Okay, listen. We all know that once we’ve managed to get ourselves entangled and enmeshed with a toxic narcissist in a relationship, we have this tendency to get all “people-please-ish” – we stop trying to get what we want and we start trying to make sure our narcissist doesn’t get upset with us. And this tends to leak out into other parts of our lives. Our default response becomes one of deflection – we allow the narcissist to run the show, and this can often lead to us accidentally becoming people who don’t choose anything that WE WANT. We become people who instead do what everyone BUT us wants. So, what’s so bad about doing what everyone else wants, right? Well, it’s this: we end up NOT taking care of our own desires and needs, and we become dissociated from who we even ARE. We end up becoming a shell of our former selves, and often, falling into the definition of ourselves that the narcissist has provided for us. All those challenges just because you’re TOO NICE? Oh yes. The biggest problem with trying to please everyone is that people take advantage of you – and often, they lose respect for you in the process . Listen, if you don’t care about your needs, no one else will either. It’s important to be your OWN number one advocate. When you respect yourself, others can respect you, too – you feel me? It’s time that you start treating yourself like you DESERVE to be treated – and by doing so, attract more of that positive energy into your life. So where do you start? Try these techniques to get moving. 1. Do something you want to do, but are afraid others won’t approve. Get that tattoo of a little butterfly or sparrow you’ve been dreaming of since 11th grade. Go see a movie by yourself or go to the store dressed like you’re going out on the town. If you’re not hurting anyone, just do what you want. Tip: Practice not caring what others think. That’s not a license to be inconsiderate or rude, but if you want to dance around in your front yard, why would you let the opinion of anyone else stop you? Hint: You might think you’re pleasing others when you let them have things their way, but that’s not always true. You’re boring and irrelevant when you don’t have an opinion. Avoid being bossy or rude, but let others know what you think. 3. Realize that you can be a great person without being subservient to everyone else. Those that are too nice often believe that the more they do for others, the worthier they are of admiration and love. Remember: Nobody wants to be a martyr, and sacrificing yourself excessively isn’t admirable, nor is it attractive. You’re being irresponsible toward yourself by ignoring your own needs. Treat yourself as you DESERVE to be treated. You’re freaking AHHH-mazing. 4. Understand that many overly nice people aren’t actually nice. The mindset of many nice people is, “If I give everyone else what they want, they’ll be willing to give me what I want. I just have to be patient.” That’s not kindness. That’s manipulation. This group of people tend to become resentful when their strategy fails. 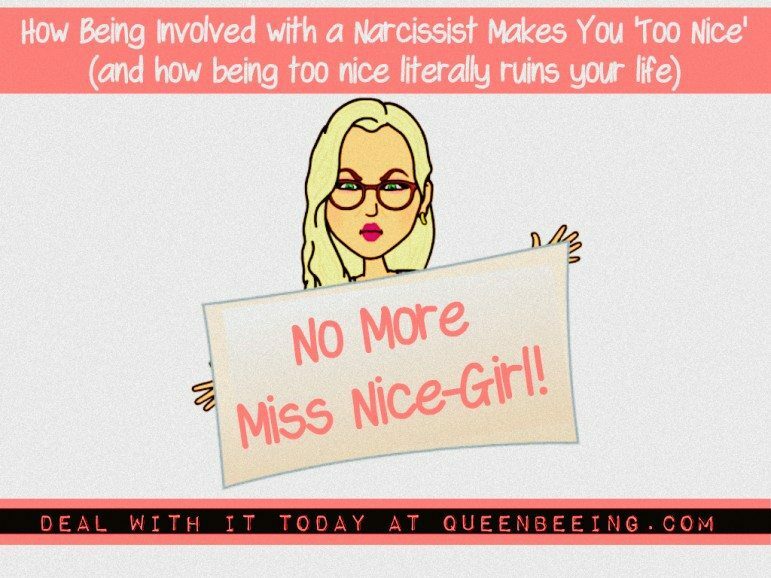 You’ve probably seen a lot of this kind of behavior in the narcissist – love bombing, anyone? 5. People that are too nice are often overly passive or aggressive, with little behavior between these extremes. Being nice all the time grows to be frustrating. Invariably, you’re giving more than you’re receiving. Unless you’re Mother Teresa, there’s a breaking point. You’re either controlling others or being controlled by them. 6. What’s the worst that could happen if you failed to please someone? Does the idea of disappointing someone feel uncomfortable? What’s the worst that could happen? You probably please them 90+% of the time anyway. 7. Review your boundaries regularly. As you act in a manner that takes your own needs into account, your boundaries will change. Evaluate those boundaries and make the necessary adjustments. You don’t want to be a pushover, but you also don’t want to take advantage of others. Is being TOO NICE ruining you life? Always trying to please others is not a real effective strategy for navigating the world. It’s not an effective way to meet your needs or gain the respect of others. Be kind, but ensure that you’re taking care of yourself, too. Spending too much time pleasing others will result in your own displeasure. 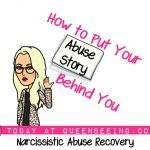 Being a victim or survivor of narcissistic abuse makes it much more likely that you’ll fall into this category – so take action now to create positive personal change in your life. Stop living in fear and start getting what YOU want and deserve. 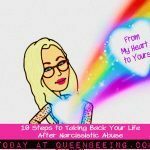 Check out my free email course to get started right now on taking back YOUR life after narcissistic abuse. You feel me? Share your thoughts and experiences in the comments section below. Funny about not being subservient. My narc told me that when he asked me (not to argue, or one of his requests), he had not intended me to become subservient. What other option did I have? Exactly how it goes! Thank you for sharing your experience. Hugs!